with our free suite of online planning tools. Drag and drop from your list to assign each wedding guest a seat. 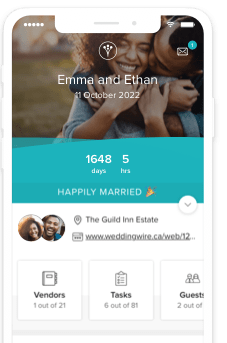 Let WeddingWire run the numbers and keep your spending on track. Quickly find, manage, and message your favorite wedding vendors. Browse the latest in wedding fashion and save your favourites. Ask questions, get advice, and share your experiences with other couples.